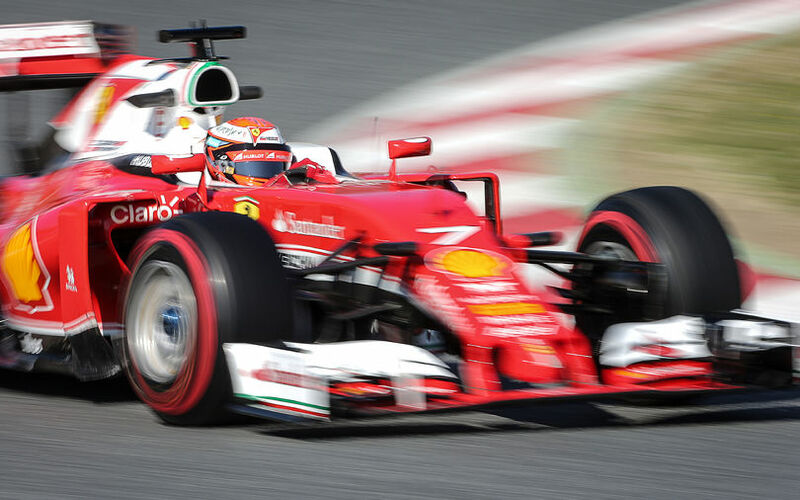 The fourth day of testing at Circuit de Catalunya ended with Kimi Raikkonen on top of the timesheet, the result of a laptime set late in the morning session using the ultra soft tyres. Raikkonen was however much less active in the afternoon, as more cooling issues popped up on the SF16-H. The afternoon was, as usual, mainly about reliability and long simulation runs, albeit they were interrupted at times by a few red flags. One was caused by Rio Haryanto, who spun and ended up in the tyre barriers. Apart from a damaged wheel, there wasn't much wrong with the car, so 15 minutes after getting the car back to the pits, the team managed to get him out again, for what eventually was a reasonably productive day for the team. The most active team of the day, was as usual, Mercedes, but as they switched drivers at noon, the most active driver was Kevin Magnussen in the Renault R.S.16. The team didn't encounter any problems and were able to complete an extensive programme, until 15 minutes from the end he stopped out on track, making it at least one stoppage each day this week for Renault. At Toro Rosso, things went similarly smooth, with Verstappen comfortably completing more than 100 troublefree laps. In the trouble corner today was Williams. Another car issue saw Felipe Massa's day cut short, just like yesterday, but now with only 37 laps on the tally. Still, it was even worse for McLaren Honda, as a coolant leak very early in the morning halted running after only 3 laps for Fernando Alonso.